Who doesn’t have a road trip adventure on their bucket list?? We certainly do! Leaving everything behind and hitting the road ‘Thelma and Louise style’ (without the tragic end!! ), a convertible car, wind in your hair, the roar of the engine, the freedom of the open road – what’s not to love about that?! When we think about road trips, suddenly images of the great American outdoors come up in our minds. However, road trips are not for the US only. They are a great way to explore our beautiful English countryside and discover some hidden jaw-dropping wonders that may be right up your street. After all, the UK has over 200,000 miles of road ready to explore, and many of them are surprisingly picturesque. 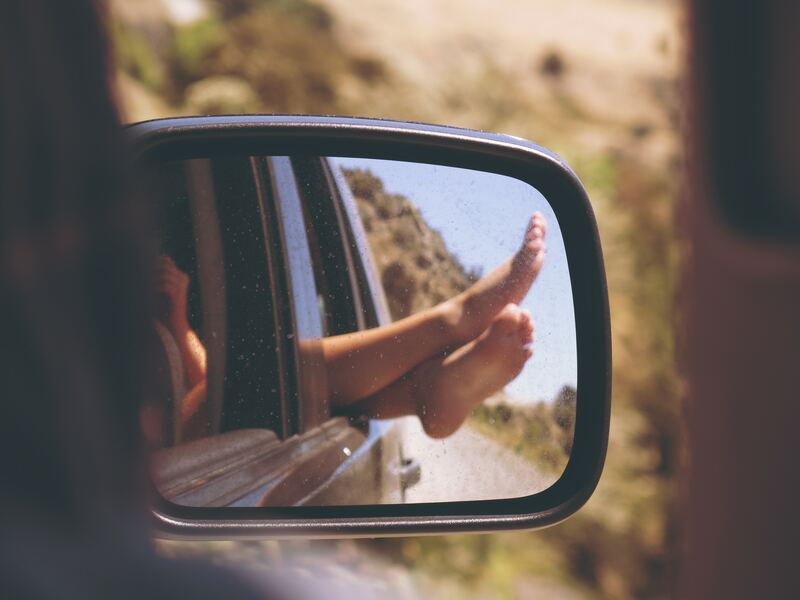 If you’re after a staycation out of the ordinary for this summer, a driving holiday in the UK could be the adventure of a lifetime. Here are 5 of our favourite itineraries. The quaint, buzzy quayside town of Topsham is the perfect start of your trip, initially along the A379, dipping and climbing through Dawlish with its sandy beach, Teignmouth with its spires and towers, unspoilt Shaldon village and grand Torquay, before this beguiling road speeds you towards Paignton. Kingswear Lower Ferry carries you to Dartmouth, with its dazzling harbour views. Then the A379 delivers its biggest punch of all as it climbs and narrows, offering dizzying vistas across Blackpool Sands and then Slapton Sands. It’s at Torcross that you turn left for Start Point and its lighthouse, the southernmost point on this drive, before heading back into Dartmoor where – after a nights rest – you can enjoy long views across the moors from the B3212 as you swoop, cross-country, to Moretonhampstead. Ideal for: who wants to take in the best of coast and countryside, breaking the journey with sumptuous hotel stays. Good to know: Some of the minor roads on Dartmoor make it slow-going, so it’s a good idea to break your trip. Here the mix of A- and B- roads create a daisy-chain link between the most beautiful villages, waterfalls and rolling backdrops in northern England. When heading through fields of summer grasses over the Buttertubs Pass from Wensleydale to Swaledale, the road twists and turns like a thrashing snake. Ideal for: ale drinkers and cheese lovers. Good to know: the Yorkshire Dales are a magnet for tour buses and parking can be challenging at times. Start at the handsome seaside town of Swanage, then head north on the A351 past famous, ruined, Corfe Castle, then the pretty quay at Wareham. Drive past the Tank Museum on the A352, then take in the beauty of crescent-shaped Lulworth Cove along the B3071 before re-joining the swooping A352 and dropping down through Osmington on the A353 to view the striking 323ft White Horse, carved into the hillside in 1808. The B3157 takes you past famous Abbotsbury Swannery. Stay on the B3157/B3162 to the Furleigh wine estate, at Salway Ash, then the pretty A3066 through Beaminster, followed by the B3163 to the idyllic village of Evershot, with its traditional village shop, bakery, school and beautiful church of St Osmund’s. Ideal for: Open-top motoring fans. Good to know: You can make this a thrilling “zigzag” tour and include some coastal sights en route visiting the lagoon beach in the village of Fleet, near Weymouth. Ideal for: surfers and wannabe hippies. Good to know: the name is a bit of a cheat. The route travels inland for much of Cornwall, eventually feeding onto the shoreline at Newquay. Seen through the grainy light of nostalgia, the ideal way to do this trip is in a VW camper van with a board tied to the roof. If you’re going to do just one road in Wales, it really ought to be the A470, the main artery which runs all the way from Cardiff to Conwy, 186 miles, coast to coast. Start in the Welsh capital, then head up through the South Wales Coalfield to the Brecon Beacons. From the roadside, you could yomp to the top of Pen y Fan, the highest point in southern Britain, in little more than an hour. From here the road skirts Brecon and on through rolling farmland and a succession of pretty market towns before arriving at the exact mid-point of Wales, Llanidloes. If you keep driving north, you will get to the lovely market town of Machynlleth. The little mountain road past the Llyn Clywedog reservoir is gorgeous, with a famous local viewpoint that overlooks Mach itself. Cadair Idris looms to the left as you head to Dolgellau, then it’s up and over the mountains of Snowdonia through Blaenau Ffestiniog, down through Betws y Coed and Llanrwst, and along the Conwy valley to our final destination, Conwy itself. Ideal for: combining castles, museums, and terrific shopping. Good to know: Go to the Brecon Beacons visitor centre at Libanus for National Park info, and if you can coincide your trip with the Royal Welsh Show at Builth Wells, all the better. This entry was posted in Road Trips, Top Tips, Uncategorised and tagged car drives, road trips, road trips UK, scenic drives UK, summer holidays, UK holidays. Bookmark the permalink. ← New MOT testing – how the changes will affect you?